So I finally got my hands on the LG Ally today and let me start off by saying “WOW” for what is being dubbed a “Mid range” or “Economy” Android handset, LG’s Iron Man 2 phone, The Ally is filled to the brim with features. Starting off you’ll notice it’s running Android 2.1 so right there it’s out of the gate better than the 2009 round of Android phones. Even the newest of the My Touch (G) family from HTC, the My Touch Slide is going to ship with Android 1.6. One of the toughest things with my blog is I don’t get to do unboxing videos and blogs you know why, cause I don’t have the patience to wait to go home before I open up the box. Yes the unboxing was done in the car before I got on the road. When I took the phone out of the box I noticed it was sleek and reminded me of the ENVY series. I also noticed that it carried some weight to it. This may be a negative for you but it’s a positive for me. When my wife and I went through the My Touch 3g Series, I had the black and she had the burgundy, we also had a white for a while too, one thing I noticed was the White and Burgundy felt lighter but not light in a Droid Incredible way, light in almost a cheap way. Or comparatively speaking, not light in an Eris way but light in a cheap way. Ally packs some weight and in my opinion feels more durable. The next thing I noticed was the keyboard. 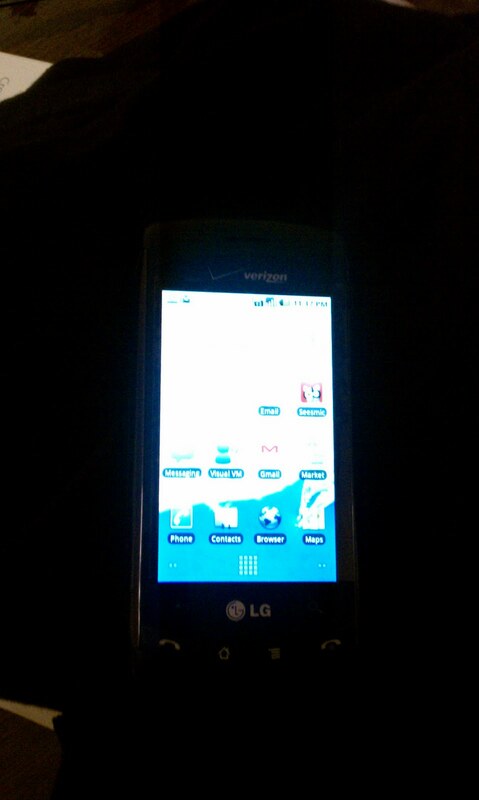 When I got the moto droid at launch I was very displeased with the keyboard.. but it grew on me quickly. The Samsung Moment keyboard felt cheap to me and the buttons didn’t push down fast enough. Much to my pleasure, the LG Ally’s keyboard has raised keys that punch down fast. Their is also a menu button in the upper right portion of the keyboard this is a HUGE HUGE plus for me I don’t have to push a sideways facing button for menu. I haven’t done a lot of playing with this phone yet but will add more everyday however I was very very impressed with what I’ve seen thus far. Granted I’m an EVO, Incredible, Nexus One, Droid kind of guy but for someone who wants a solid, afforable android that can do everything it’s supposed to, so far this Ally exceeds that expectation. Also of course it’s on Verizon which means that you’re going to get a dependable network.